Big Cottonwood Canyon, UT – Utah’s Solitude Mountain Resort is set to host the 2017 Toyota U.S. Grand Prix/FIS Snowboard World Cup and FIS Skicross NorAm Cup this coming week, as part of a test event for the 2019 FIS Freestyle, Snowboard and Freeski World Championships. 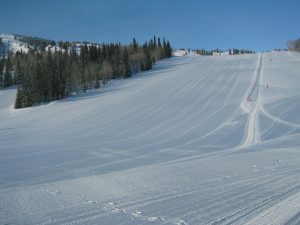 The event, which will run from Thursday through Saturday, will be the second stop on the U.S. Grand Prix tour for the 2016-17 season and the first major international skiing and snowboarding competition Solitude has hosted. The 2017 Toyota U.S. Grand Prix at Solitude will feature skicross, snowboardcross and team snowboardcross events. All races will take place on a course built on Wall Street and Main Street runs that will finish adjacent to the base of Apex Express chairlift and the Village at Solitude. 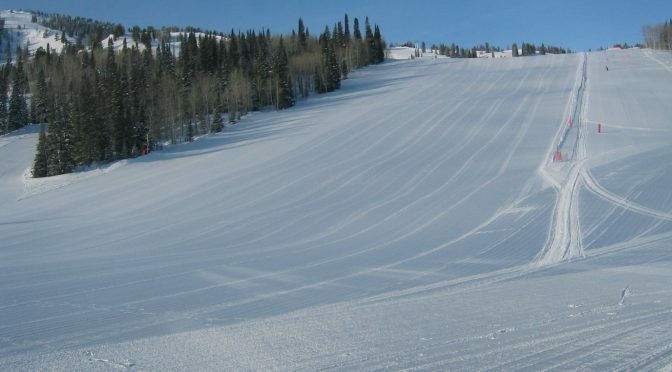 Spectator access is free of charge, and public transportation via Utah Transit Authority (UTA) ski buses is strongly recommended due to very limited parking on-site. Ahead of the Grand Prix stop at Solitude, members of U.S. Snowboarding’s snowboardcross team will participate in a community outreach event Tuesday, visiting the Boys and Girls Clubs of Greater Salt Lake’s facility in the in the Poplar Grove neighborhood of Salt Lake City. The athletes will speak with local children about following your dreams and overcoming obstacles, as well as teach them about the sport of snowboardcross. Boys and Girls Club participants will be invited to watch their new friends compete at the snowboardcross event finals on Saturday. Snowboardcross 1/22/2017 NBC 3 p.m.
Snowboardcross (rebroadcast of NBC show) 1/22/2017 NBCSN 5 p.m. Team Snowboardcross 1/28/2017 NBC 1 p.m.
Skicross 1/28/2017 NBC 1 p.m.